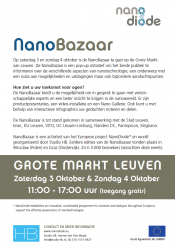 On Saturday 3th and Sunday 4th October the third NanoBazaar will take place in the inner city of Leuven. 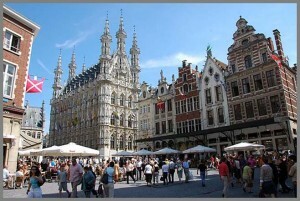 For this event we collaborate with City of Leuven, Imec, KU Leuven, UC Leuven-Limburg, VITO, Flanders DC, Elegnano, Pantopicon. We invite you to discuss with scientific experts and gain a closer insight into the nanoworld with a nano store, a video installation and a nano gallery. Using interactive infographics you can share your thoughts and insights. 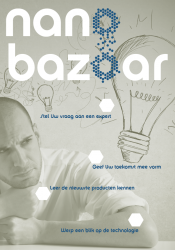 Nanotechnologies include a topic with a variety of opportunities and challenges!